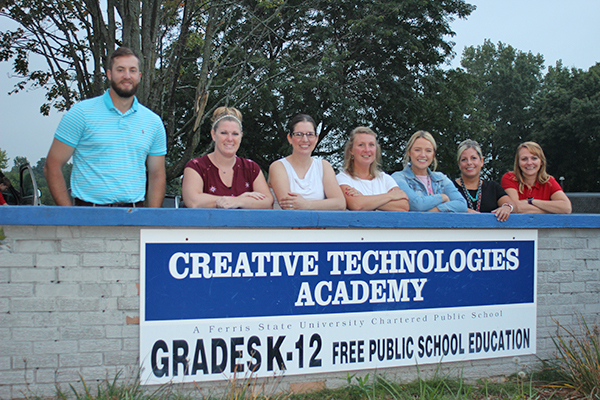 Tag Archive | "Bethany Holtrop"
CTA welcomes new teachers to the team for the 2018-19 school year. Jon Gwizdala, High School Science; Heather Dibell, Great Start Readiness Program Assistant; Bethany Holtrop, Elementary Music and Interventions; Jennifer Lumbert, Great Start Readiness Director; Allison Hite, Second Grade; Cyndi Parker, First Grade; and Teresa Marsman, Middle School Social Studies and 7th Grade. The Charger Voices stand with poise following their performance. 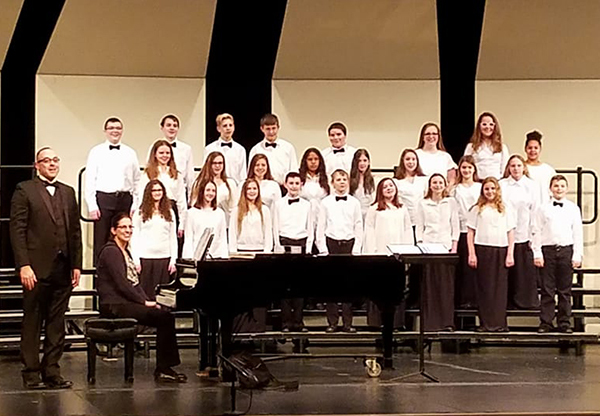 On Friday, March 16, CTA choir students attended the District 7 Choral festival at Greenville High School. This year, both our middle school choir, Harmonic Chargers, and our high school choir, Charger Voices, attended. Although our our middle school students attended solely to receive comments this year, they really enjoyed their first festival experience and received helpful feedback from the festival adjudicators. 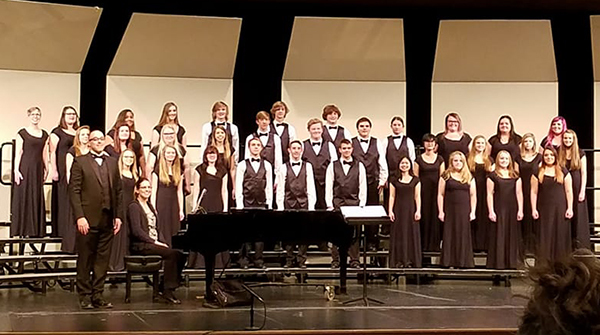 The high school choir went for a rating this year for the first time. Last year, Charger Voices attended for comments only, so the stakes were higher this time around. We ended with a high II rating. Both choirs demonstrated great growth from the previous year, and the students really enjoyed the experience! Both groups were conducted by Mr. Jeremy Holtrop and accompanied by Mrs. Bethany Holtrop. The Harmonic Chargers are proud of their first effort at the District Choral festival.